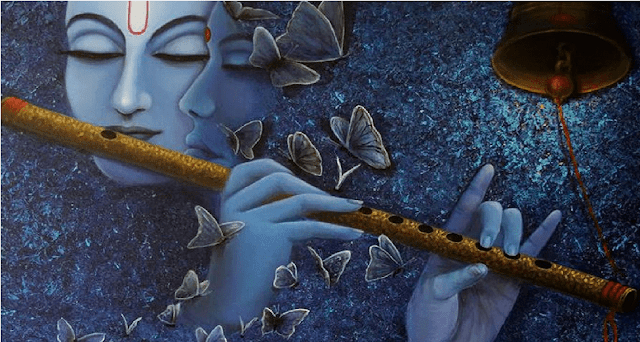 Happy janmashtami & Lord Krishana Status, Quotes in Hindi for Whatsapp and Facebook( FB ) -Lord Krishna (Bhagwan Krishan) is pretty popular and has more devotees among other Devis and Devatas. Bhagwan Kanhaiya is very popular for their naughty tasks into his childhood and back then he was aliased by Kanha and Kanhaiya. So today I have made a collection for best Kanha ji status in Hindi for their die hard devotees. You can share these Bhagwan Krishna Hindi status on Whatsapp and Facebook with your friends or set these Kahnaiya Status on your whatsapp wall if you are a true devotee of him. Radha ne kisi aurki taraf dekha ni nahi..
Kanha ke Pyaar me padkar vo khud Pyaar ki Paribhasha ho gai..
दुनिया को प्यार का सही मतलब जो समझाना था. जमाने का रंग फिर उस पर नहीं चढ़ता…. Par lagan tujse hi sarkar. .